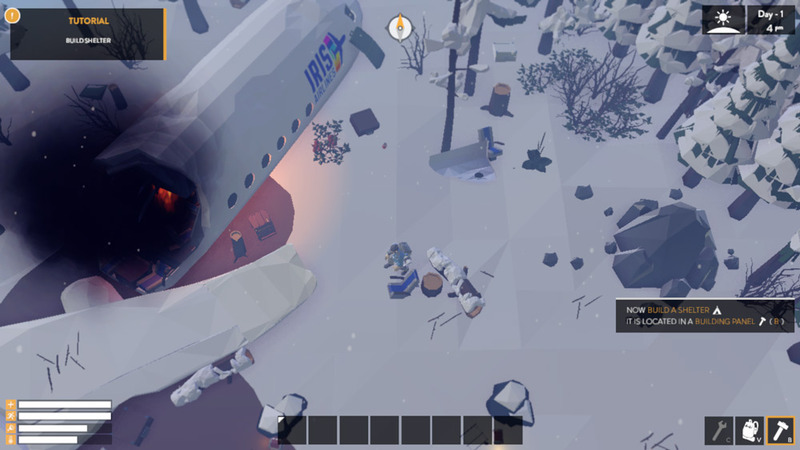 "A unique survival game that looks great." 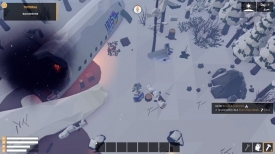 The Wild Eight is a pre alpha demo of a survival game that is still in development however even at this early stage it looks great, it plays as a bird’s eye view of you a survivor of a plane crash somewhere in the Alaskan mountains, the game is playable in co-op mode with up to eight players who can work together to try to survive, there is also a single player mode where you can try to survive alone in the mountains. 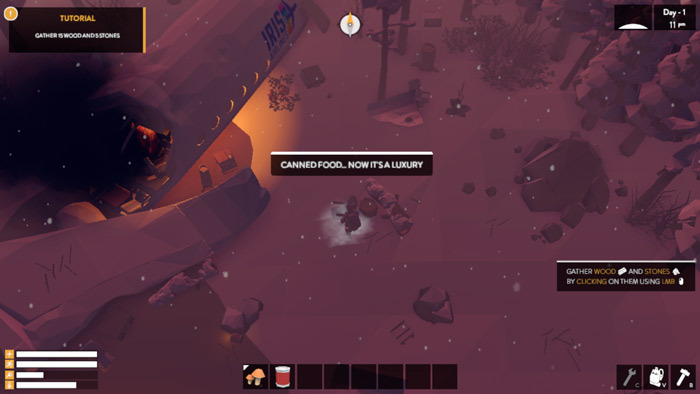 The idea is to try to survive as long as possible which is not easy, you must build a shelter and hunt for food and fuel to keep a fire burning to keep you warm, leave your camp for too long and your temperature will drop and eventually you will die, try to take on a medium or large animal with just a little knife and you will find the same result. 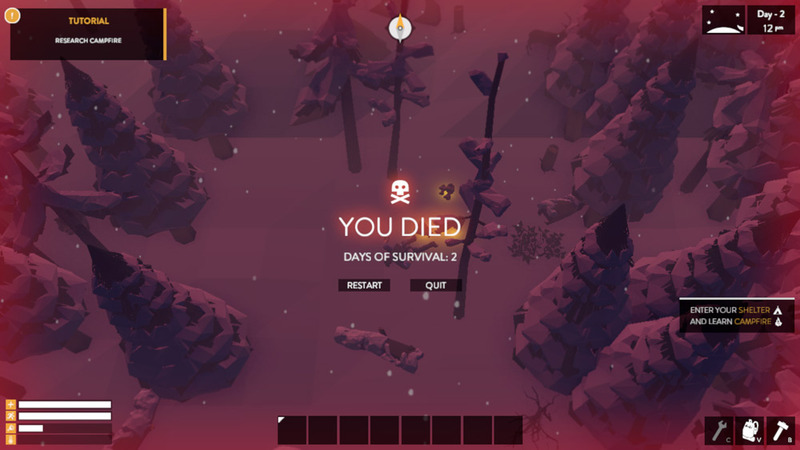 The longest I managed to survive was just two days as wandering too far from your base will almost certainly result in you dying from the cold, as you get further in to the game you must research things such as bases and fires to help maintain your survival for as long as possible, you can also gather things that can be used as weapons for hunting animals for food and also collect any tinned food from the plane wreckage and gather wild mushrooms, although I did not eat the mushrooms for fear of side effects! 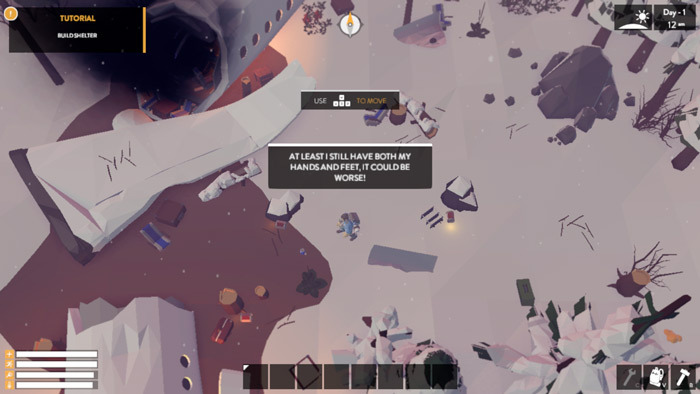 The Wild Eight has a lot of promise and it will be very interesting to see how it develops from here. 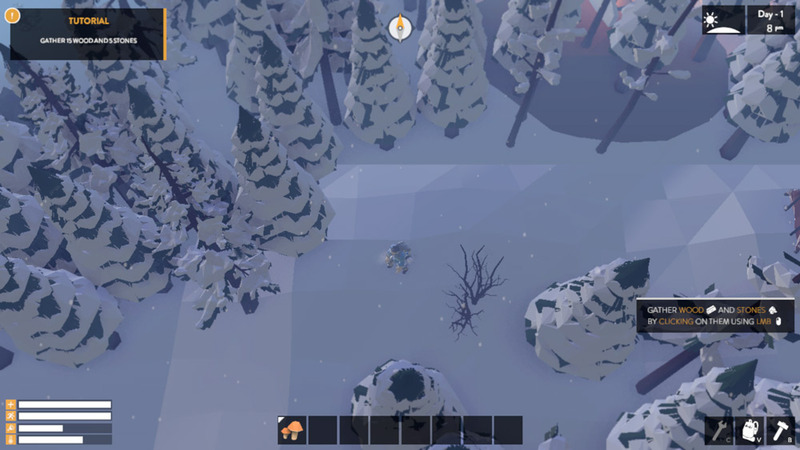 You can download The Wild Eight pre-alpha demo here for free.